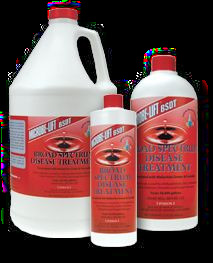 Microbe-Lift/BSDT is the pre- eminent broad spectrum malachite green and formalin treatment. It is formulated differently than any other malachite green and formalin mix. Malachite green and formalin are two drugs that are more effective and less toxic in combination than when used individually. This is the definition of synergism.